The Welcome window of Recoveryfix Internet Privacy Eraser. 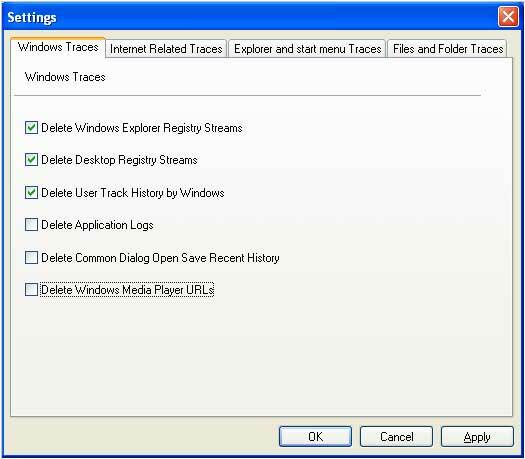 Screen showing the Internet Explorer Settings options. Configure Cleaning Option, and displaying the settings window.